In part 3 of this article, we looked at how merely staying out of Jail in a “Delivery” case was important, but by no means the only consideration in the proper handling of such a charge. In this 4th and final installment, we’ll conclude by briefly looking at the least common of the “Delivery” charges, those involving the “Manufacture” of a Controlled Substance. Then, we’ll talk a bit about what a person should look for as they seek good Legal representation for one of these charges, and what they should keep in mind as they consider which Attorney to hire. Technically speaking, a “Delivery” charge is called “Delivery/Manufacture” of a Controlled Substance. As we observed earlier, most actual “Delivery” charges involve hand-to-hand “buys” by an undercover Police Officer. When “Manufacture” is involved in a “Delivery/Manufacture” charge, it almost always involves Marijuana plants. I have seen cases where the Police were at a residence for an unrelated reason, and saw a Pot plant growing in the house. Now I’m not some horticulturist, but even I know that the UV rays from sunlight, or at least from growing lights, are needed to create the active ingredient in Marijuana, THC. Still, that single plant, even if it is “impotent” cannot be grown (absent certain, and still unclear “Medical Marijuana” situations) without violating the law. 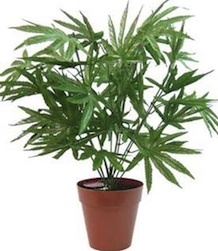 Even if a person is growing an impotent Weed plant indoors with no intention of ever “harvesting” it (because it is impotent anyway), the mere act of possessing that plant is enough to give rise to the “Manufacture” part of the “Delivery/Manufacture” Law. In other words, that plant, which might only weigh a few ounces, will create a ton of problems. Of course, I have also seen cases where there has been cultivated growing, those cases ranging from a few plants for personal use to what can be described as a bumper-crop in a veritable indoor farm. Once in a while, a person is found to be making something like Meth, or Ecstasy, but in truth, I see very few of those cases. The point is that whether it’s 1 impotent plant or 1000 high-grade, cultivated plants, merely possessing it or them can and will give rise to a “Delivery/Manufacture” charge. The bottom line in any “Intent to Deliver” case is really the same as in any “Delivery” (meaning “Delivery/Manufacture) case: Avoid Jail (or Prison) and minimize the negative consequences. In other words, get me out of this with as little hurt as possible. So how do you find the right Lawyer for this kind of case? How do you avoid paying too much for that Lawyer? You shop around. Nothing, and I mean nothing can take the place of being a good consumer. Read what other Lawyers have written on the subject, or if not this subject in particular, then at least how they do things in general. Your reading should result in a lot more than just tag lines like “we’re aggressive,” or “we’re experienced.” Those are ads, not articles. Use the phone. Call around. No matter what, the more Lawyers you talk to, the more you’ll begin to see who really knows what they’re doing, and who doesn’t. Price is an issue, but there is NO bargain in hiring someone who isn’t really familiar with these kinds of cases. Nor, at least in my opinion, is there much benefit in bringing in a Lawyer who isn’t familiar with the Courts and the People who will be involved in your case. And while it’s just my opinion, I personally would never get involved with anyone who wants to schedule an appointment right off the bat. To me, that seems like “high pressure” and an attempt to get someone in the “Client chair” too early. How do I know if I’m going to like you, or if we see eye to eye until we talk a bit over the phone? And the same is true for the Client regarding the Lawyer. In terms of Fees, I always believe there’s a range that should be considered. The “lowest bidder” is probably not the best person for the job, but the most expensive is also quite likely to be a waste of cash. If money is no object, then by all means, have at it. If, however, money matters, then that’s all the more reason to shop around. Many people need some financial help from family or friends at a time like this, so I think they owe it to those helping to foot the bill to have done their homework. As much as I know that I am good at these cases, I also know that I’m not the Lawyer for everyone. Sometimes, one of the most important dynamics of the Lawyer-Client relationship is how well the two communicate. Just because Joe Lawyer got your brother-in-law out of a Murder charge, he might not be the guy for you. There has to be a “connection,” and it’s either there, or it’s not. Again, that’s all had by being a good consumer and doing your homework. Just getting some Lawyer out of the phone book whose best line is “aggressive” and figuring he or she is the one for you is a crapshoot, at best. In the end, if the person has spent the time to find what can honestly be described as the best Lawyer for them, and is willing to spend the time with that Lawyer in order to produce the best possible outcome in their case, then things most often work out much better than they may ever have at first feared.